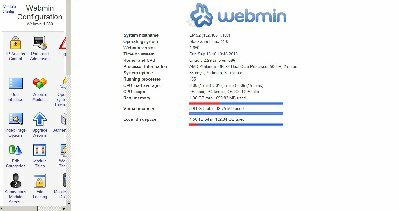 I can no longer access the System, Others, Hardware and Cluster menu dropdowns. For those I can access, my Webmin icons has become almost unusably large (see attached). Yes, I am running Firefox. And I am running NoScript. And I am an idiot. Thank you for your quick and totally accurate response. Now I can look into my logs and config again which I rarely have to do because SMS2 simply works. PS Can you point me to a guide to upgrade my SMS server to the latest version in place? You can slapt-get later kernel-source and llvm packages (they are placed in Extra iso), or you can download SMS.Native.CD-Extra.iso too. Be extra careful when upgrading kernels and don't forget to run "lilo" afterwards.